​Continue to watch this space for updates! Get Involved - We Need Your Support! Join Today! 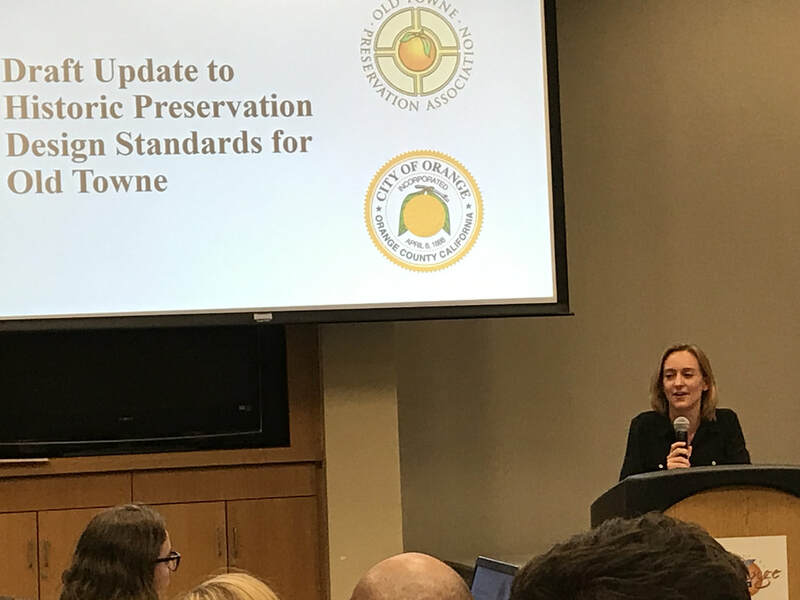 The Orange City Council at its monthly meeting December 12 approved the updated Historic Preservation Standards for Old Towne. OTPA endorsed the updates, and urged vigorous and consistent enforcement. 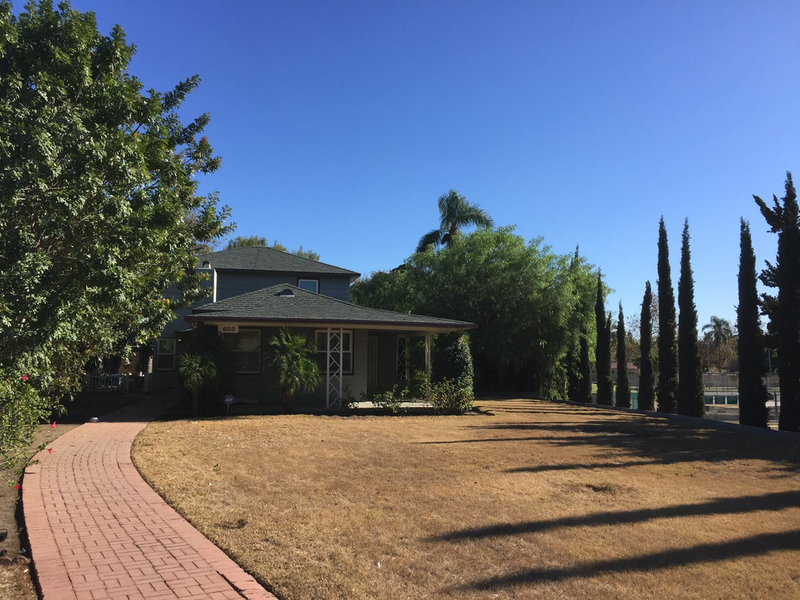 For years, the Old Towne Preservation Association has called for a full review followed by adoption of needed revisions to better assist owners of homes and businesses who want to restore, remodel or make additions to their property. 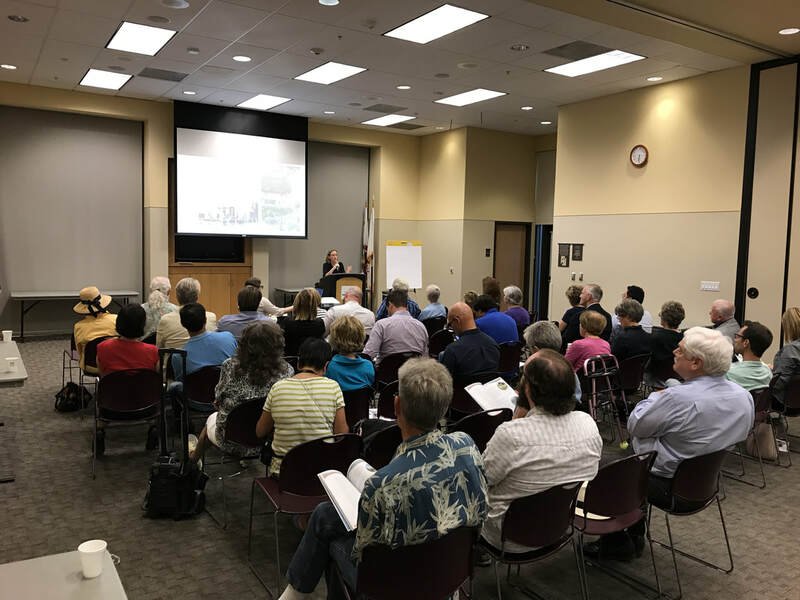 Details of the revised standards were presented to the public in a series of meetings inviting review and comment, and were then approved by the City’s Design Review Committee and the Planning Commission. Frankel and OTPA Vice President Tony Trabucco both worked with the City on the revisions and were present for the important decision. 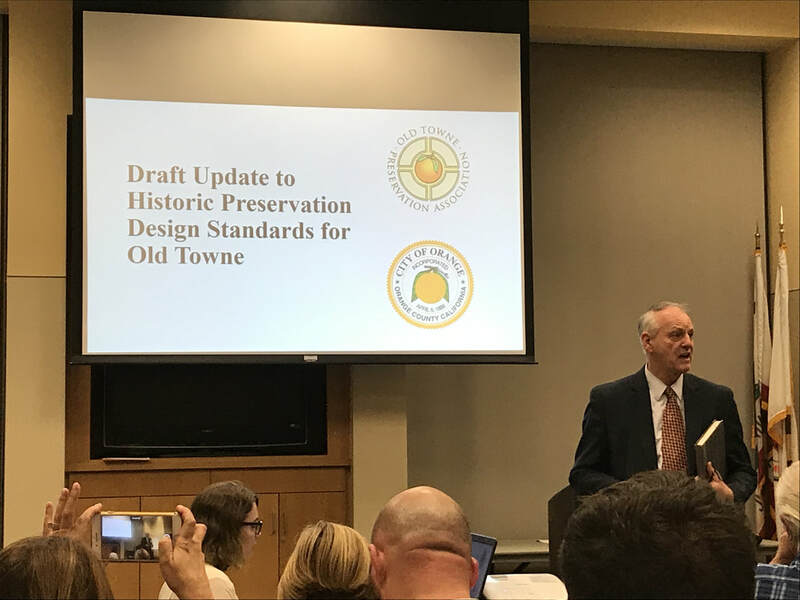 “The Old Towne Preservation Association urges your approval of the updated Historic Preservation Standards for Old Towne, and is grateful to the City’s Community Development Director Bill Crouch and his staff for devoting the immense amount of time and effort necessary to complete these revisions and bring them forward in a comprehensive, publicly reviewed and supported package for approval. communities throughout the country which are stepping up to protect their past. We particularly thank Marissa Moshier, the Community Development’s Historic Preservation Planner, for being the Godmother of the updating standards and for her desire to make the process inclusive and transparent. Marissa gave a thorough presentation and responded articulately to all questions and comments. Anna Pehoushek and Marissa Moshier sure know their stuff! But the Standards must be enforced to be useful, and OTPA works hard to assist the City in making sure the standards are followed. are followed and enforced every day, in every instance where they apply. ​CONGRATULATIONS, OTPA! The Old Towne Preservation Association was honored with the Orange Public Library Foundation’s 2016 Legacy Award at the foundation's annual awards celebration dinner on Sunday evening, June 5, at the Jones Victorian Estate in Orange. 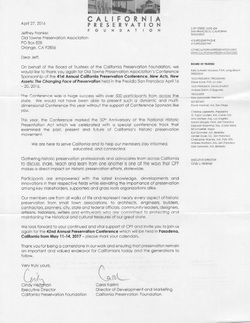 We’re pleased to accept, and proud of the recognition on this, OTPA’s 30th anniversary. Representatives from OTPA attended the "7-11" committee meeting regarding the request for annexation of surplus property adjacent to the Killefer School and Richland School properties, and in the time allocated voiced our opposition to the project in its current proposed state, due to the volume and massing of the project, the fact that it almost totally obscures the Lemon St. elevation and its character-defining features, and will significantly impact the surrounding neighborhoods during both the construction and operational phases. The committee voted to recommend to the school board that the adjacent parcel in question be declared surplus and be made available to the developer for sale. OTPA objects on the grounds that this parcel was not made available to other bidders on the property, (the developer requested that the property be designated "surplus") and that its "highest and best use" is likely to the benefit of the Richland School for parking or outdoor recreational space for their high school students, versus to create additional parking capability for a for-profit developer. At the May 3, 2016 meeting, a recommendation was made that "...the Southern Parcel be sold utilizing a waiver process to allow direct negotiations, if possible" which appears to favor the current developer (see meeting minutes, below). Click here for minutes of the April 13, 2016 7-11 Committee Meeting. 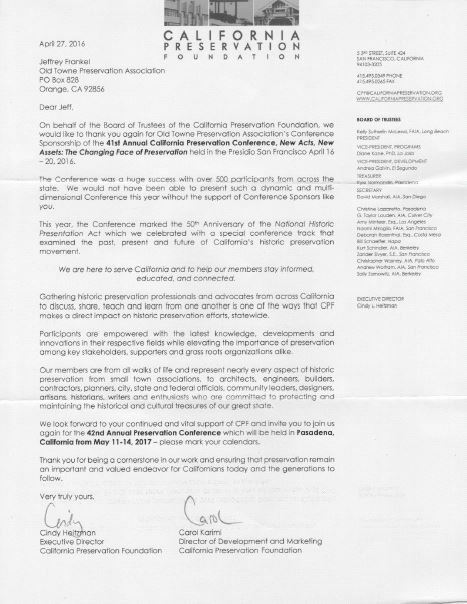 In April, Jeff Frankel, OTPA Preservation Chair and several City of Orange staff members attended the California Preservation Association Conference in Sacramento. Assistant Director Anna Pehoushek, Planners Marissa Moshier, and Kelly Ribuffo; All came away from the conference with valuable information and knowledge that will prove to be beneficial in addressing preservation issues here in our district. It is not only the educational sessions and workshops that are beneficial, but the conference also provides the opportunity to network with other individuals like ourselves form historic communities as well as preservation professionals from all over the State. 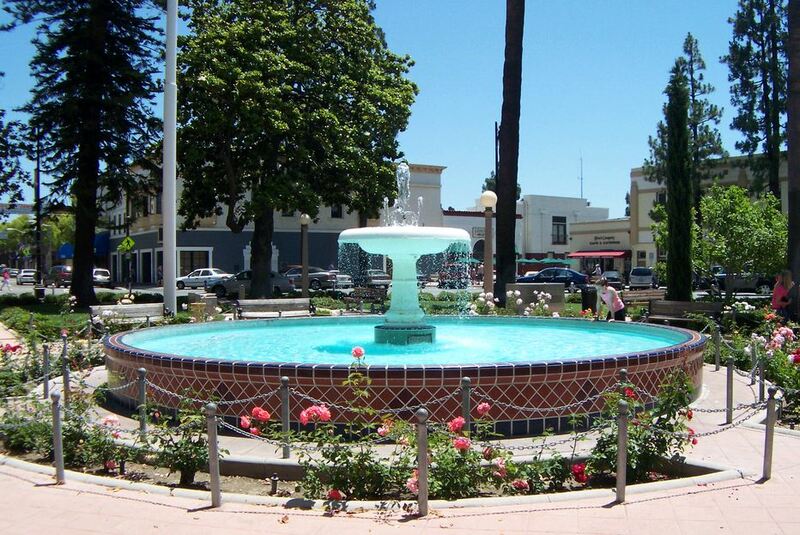 Next year the conference will be held in Pasadena, affording OTPA additional opportunities to assist with the continuing education of City of Orange staff and OTPA board members, in an ongoing effort to assist with the preservation efforts in Old Towne Orange! The developer who is seeking to demolish the iconic Watson Kellar house requested a meeting with OTPA representatives to discuss OTPA's opposition to the developer's plan. OTPA reiterated its concerns that not only was the developer proposing to demolish an historic resource (that is the Southern gateway to Old Towne), but that the scale, massing, and density were inappropriate for Old Towne. For additional details regarding the meeting, click here. 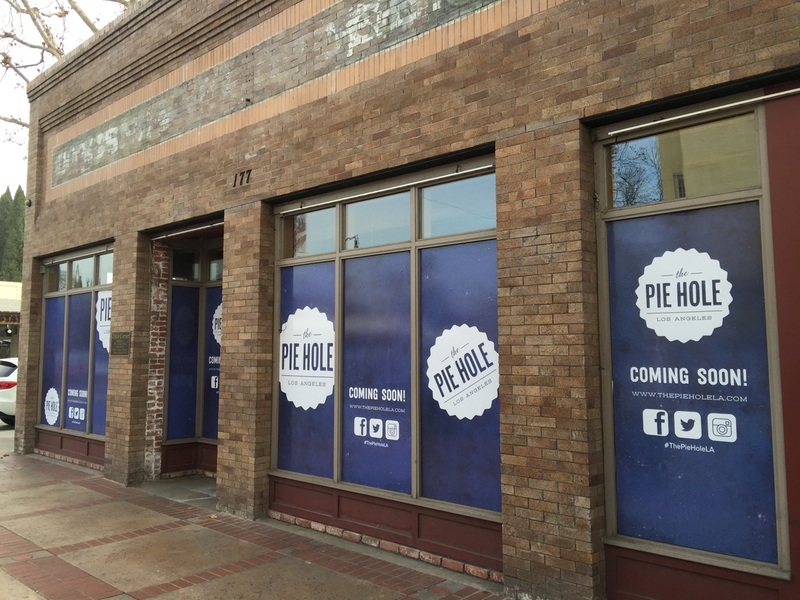 The Pie Hole - Replacing The Grinder at the corner of Maple and Glassell will be The Pie Hole, already a popular stop for sweet treats in Pasadena and downtown LA. OTPA members will be invited to a special pre-opening sneak preview. 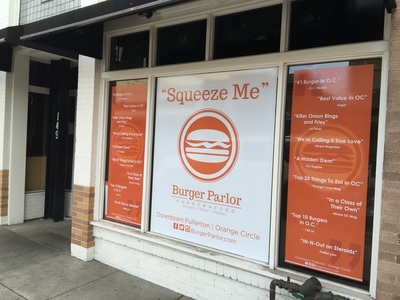 Squeeze Me - Another new Plaza eatery coming soon is Squeeze Me, offering an interesting variety of hamburger specialities. 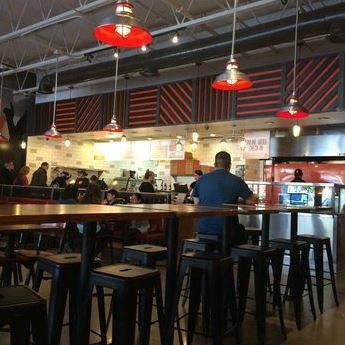 It replaces 149 Sports Grill on N. Glassell. 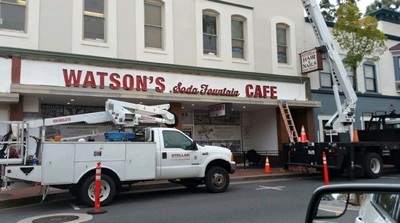 Watson's - The new Watson's Soda Fountain and Cafe adds a corner sign. While not a local preservation issue, The National Trust for HIstoric Preservation recently (January 12, 2016) ran an article titled 10 Tips: Restoring vs. Rehabilitating Your Historic House that we thought would be an interesting read for our members and any other preservation-minded individuals in Orange and surrounding communities. Preservation is everyone's responsibility! It won’t be long before this historic Old Towne landmark is back in business. 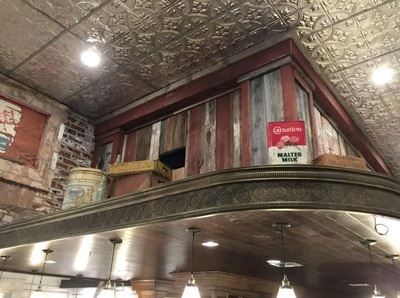 The Old Towne Preservation Association is working with new owner Billy Skeffington to host the exclusive pre-opening event when members and special guests will be the first to experience the new look, atmosphere and menu. We’ve been inside, and it looks terrific! OTPA and the surrounding community are watching closely the proposed demolition of the Kellar Watson home located at 655 S. Glassell (straddles the lot between Glassell St. and Orange St., just North of, and adjacent to, Hart Park. The proposed development would level the existing historic home and replace it with 7 multi-family dwellings with a total of 22 bedrooms. "May warrant special consideration for local planning. 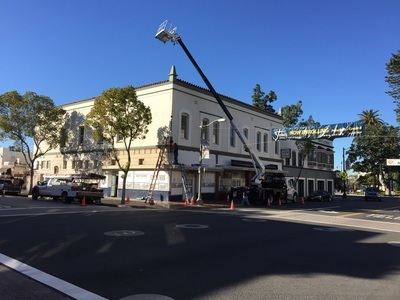 It was constructed in 1941 by Kellar Watson, Sr., founder of Watson’s Drugs, the oldest business in the City of Orange and the oldest continuously operating pharmacy in the Orange County. 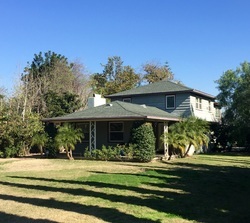 Though the property does not meet the 1940 DOC restriction for Historic standing, it is a property of local historic interest due to its identification with a person of significant local importance and its striking interior architecture. The property was purchased by Kellar E. Watson, Jr. in 1938 and the residence was constructed in 1942. 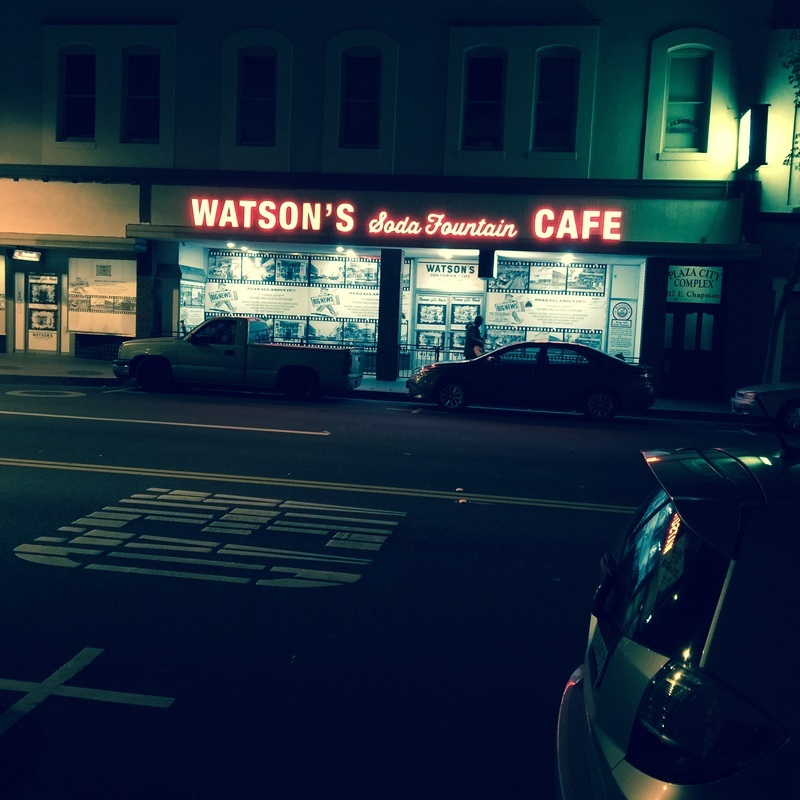 As discussed in some detail in the attached DPR forms, Watson’s father was the founder of the iconic Watson Drug Store and Soda Fountain, which is widely considered the City’s oldest and best known business. 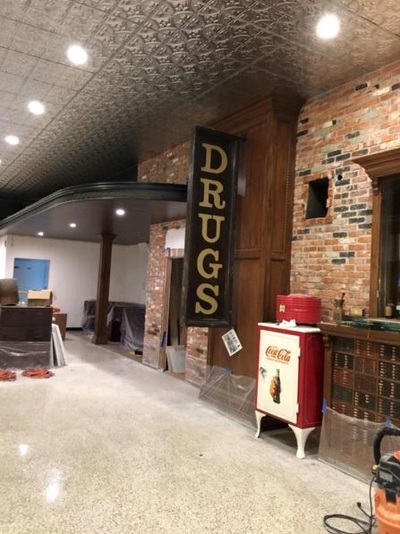 Watson, Jr. followed in his father’s footsteps, taking over the drug store after his father’s retirement in 1928. Watson, Jr. served as pharmacist until his own retirement in 1965. 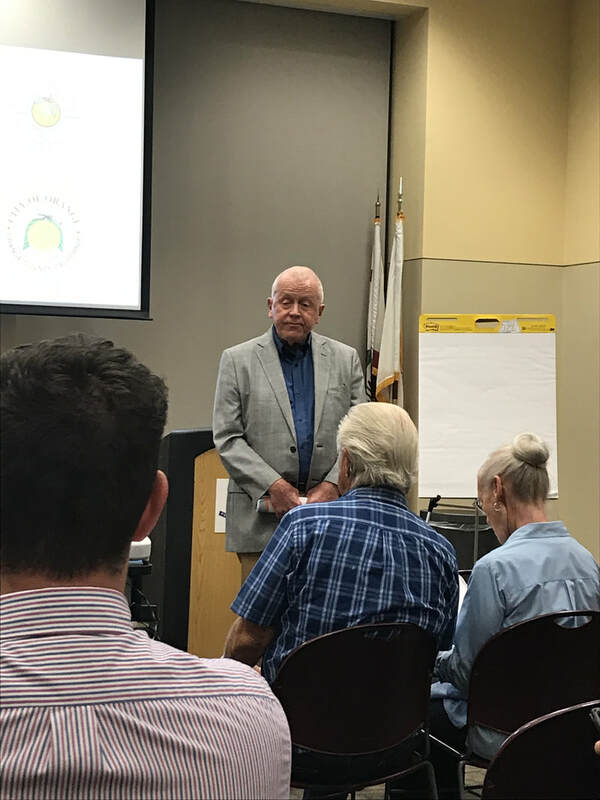 During that time, he was well-known in the community both for his business and his community involvement"
At the suggestion of the Old Towne Preservation Association, Chapman University leadership has named a community advisory committee to review school/neighborhood issues. The first meeting will be Thursday, November 5. Chancellor Daniele Struppa, who will succeed Jim Doti next year as president, will participate along with other senior Chapman officials. Click here for additional details. The photos below illustrate a recent proposal by the development group currently in escrow on the historic Killefer School site. 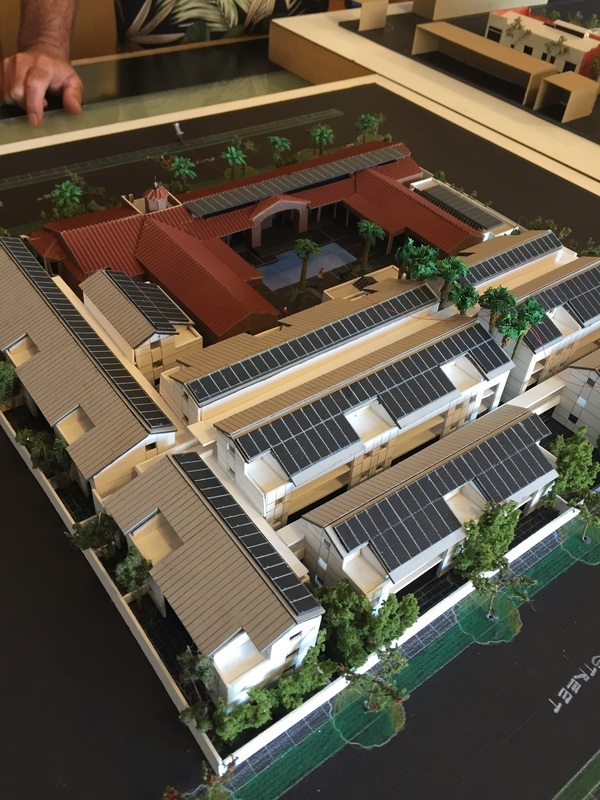 The project includes approximately 285 beds of private housing (and underground parking for approximately 160 cars), intended for use/rent by Chapman University students. 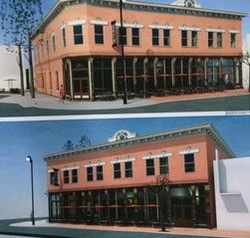 OTPA's concern with the project is the scale and massing of the new construction, coupled with the fact that it completely masks the historic character-defining features of the West elevation of the historic building. In addition, the infill project as proposed will also create impacts to the surrounding historic neighborhood. While OTPA is sensitive to the issue that any rehabilitation and/ or restoration of this National Register site must be financially viable, it must also be sympathetic to the historic structure, site, and surrounding neighborhood. An astute OTPA member noticed a substandard repair of the brick sidewalk on East Chapman a couple of weeks ago, and asked OTPA if anything could be done to resolve the issue. OTPA contacted the City of Orange, and they promptly sent out a repair crew to properly repair the sidewalk. Thank you City of Orange for helping OTPA to preserve the character of Old Towne Orange! And "After" - Much Better! As many of you know, Orange resident Don Richards Thornhill created a Go-Fund-Me campaign to fund the removal of graffiti. He and artist Steve Vandemon met with Marissa Moshier, an associate planner in historic preservation at the City of Orange. 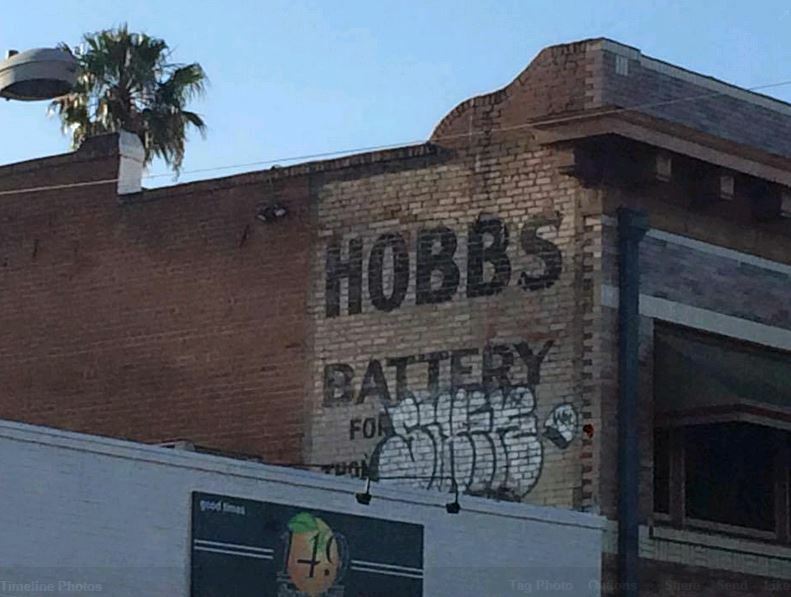 Since the graffiti is marring a building in our historic district, the removal must have city approval. 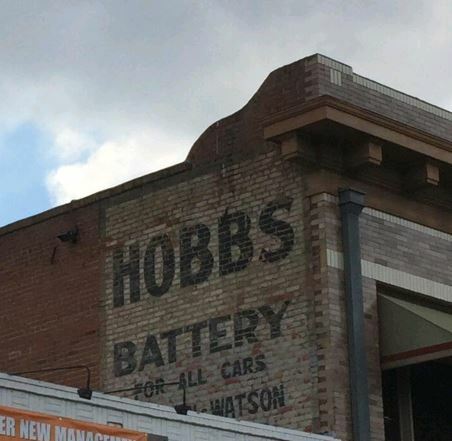 According to Moshier, the upper portion of the sign appears to be the original, historic paint. However, the lower portion of the sign was repainted when it was tagged a few years ago. The repainted portion consists of a base layer of colored paint covered with a soft, chalky lime or white wash to give the sign its aged appearance from the street. The graffiti is primarily on the repainted section, over the soft whitewash layer. Because the graffiti is painted on top of this very soft, powdery material, they are still investigating the best options for removal and don’t have a firm start date yet. 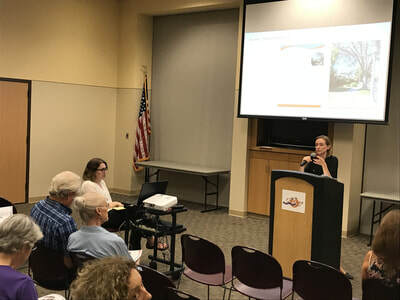 In mid-July, representatives of OTPA met with the developers currently in escrow on the Killefer school site to take a preliminary look at the project, prior to it being submitted to the DRC (watch this space under "Public Meetings - Speak Up!" -- we'll publish the date and any pertinent documents for you to review prior to the meeting, should you wish to attend to either support or oppose the project). Additional details of the project can be found in a recent (April 2015) OC Register article - click to view the article. 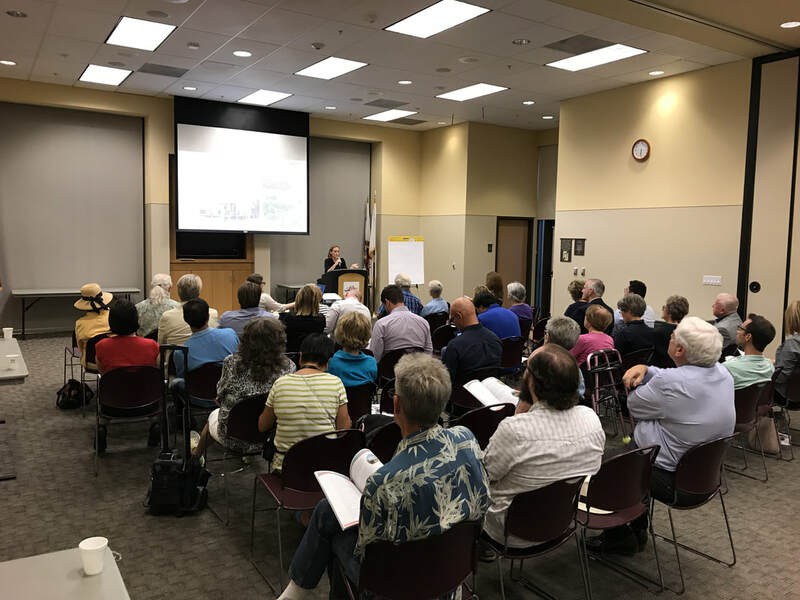 After meeting with the applicant, the applicant revised their proposed plan to preserve the historic path of travel and right-of-way for pedestrians. OTPA withdrew our appeal just prior to the July 14th City Council meeting, upon receipt of confirmation by the City and the applicant that the revised plan met the standards. 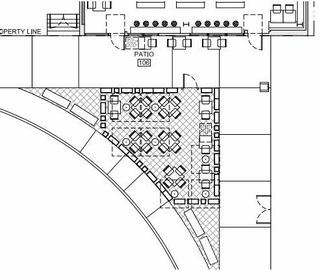 JUNE 2015 THE PATIO RESTAURANT: The original proposal for this restaurant, replacing the Heavenly Hostess store between Wells Fargo and Citizen’s Business Bank, created a fenced barrier from the restaurant front all the way to the outer sidewalk. The Planning Commission approved the project, which resulted in an instant formal appeal from OTPA. We oppose the unprecedented closing of our public pedestrian sidewalks. 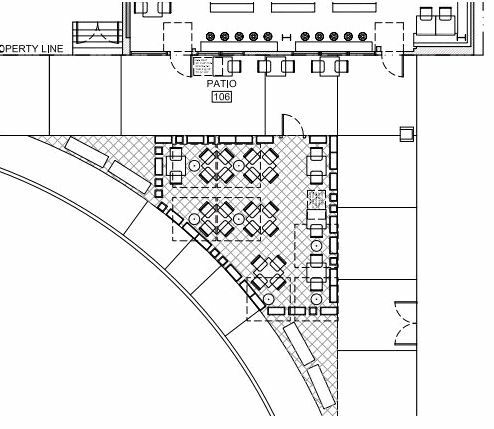 Other Plaza restaurants including Bagel Me, Felix, and Two’s Company, serve in the center pink area designated for dining, but do not obstruct public use of the sidewalk. We consulted with City staff, and then presented a new plan to the applicants. They have agreed to withdraw their request to close the sidewalk, and have submitted a revised plan to the City. We plan to watch this process carefully to make sure our sidewalks remain open. No one questions the need for additional parking in Old Towne, and the City is doing something about it. The Metrolink structure will replace the existing parking area at the corner of Maple and Lemon with a multi-level facility for 611 vehicles. OTPA has been frequently consulted and our input has been well received by City Community Development staff. It is a joint project with the Orange County Transportation Authority to accommodate the growing number of local Metrolink passengers and the demand for more downtown parking. Cost is estimated at $20.4 million, with the Transportation Authority funding $16.7 million, and the remaining $3.7 million coming from former Orange Redevelopment Agency bond funds. 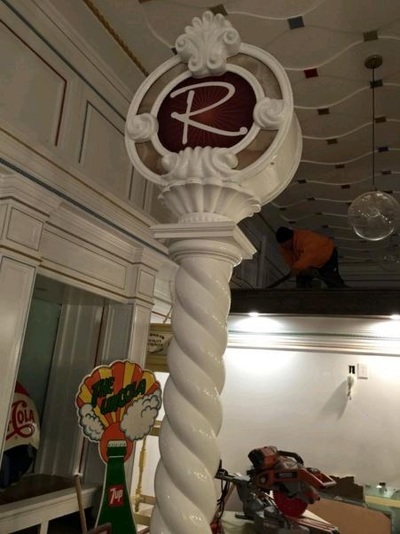 OTPA officials met with the owners and architects of the restaurant under construction in the two story building which housed law offices in the southwest corner of the Plaza, next to Starbucks. Originally called the Armor Block, it was built as a one story in the late 1800s. A second floor was added in 1907 and it was renamed the Ainsworth Building. 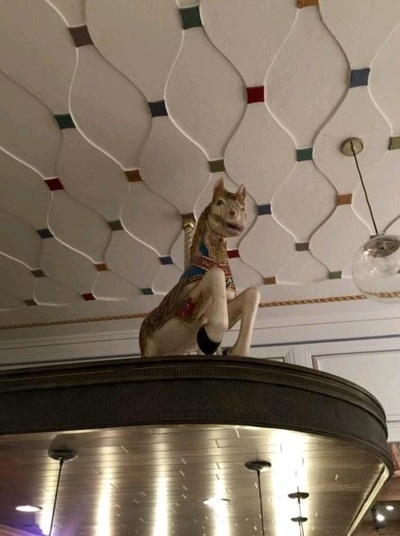 The new owner is a preservationist and plans to return this historic structure to its original appearance. His presentation to DRC was one of the most thorough and preservation themed that we’ve seen. 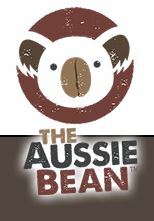 The menu will feature organic fresh roasted coffees and signature sandwiches, salads and desserts. 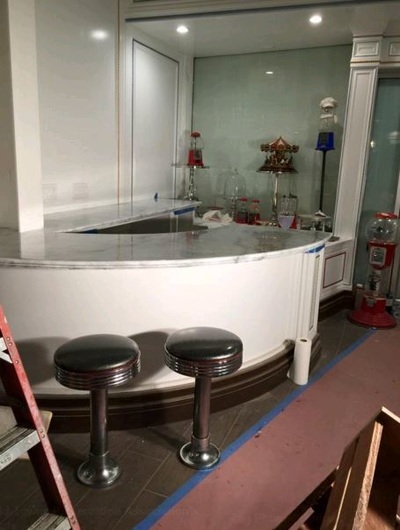 We’re sorry to see our friend Judy Schroder close her gallery and studio, but were pleased to meet with the new tenants who are restoring the building and creating an interesting coffee and pastry shop with a special roasting process. They’re eager to do the preservation correctly, and we’re already working with them. 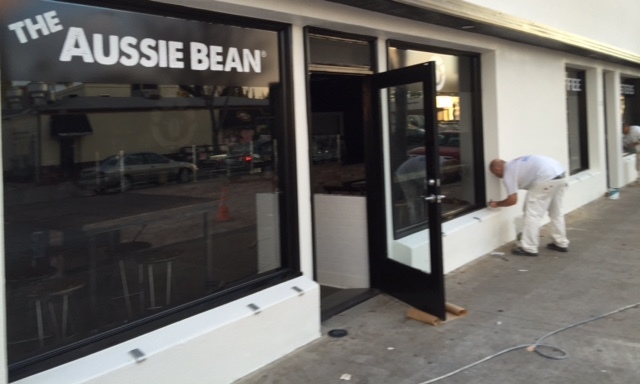 Opening in September. Open and doing well, and pleased with our request that they keep the building’s newly revealed large leaded prism glass transom windows in place during restoration and paint removal. This new restaurant is replacing Ways and Means at Shaffer and Chapman, and will open in mid-July offering a diverse menu of comfort food and cocktails seven days a week. Chef Jason, who has been one of Orange County’s leading caters for several years, did a terrific job catering OTPA’s Preservation Award dinner in May. Jason has consulted with OTPA and we have found no preservation issues in this non-contributing structure..
Wonder what’s going on with this historic structure at 71 Plaza Square? It’s facade work to repoint the brick and make the building more earthquake stable. 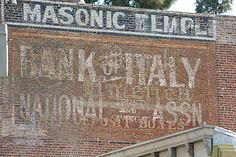 OTPA is glad they’e using the Spectra Company, a top preservation specialist. OTPA sponsored the leveling (as in making perpendicular to the ground) of the Nutwood Place Monument at the intersection of Orange St and La Veta Ave. 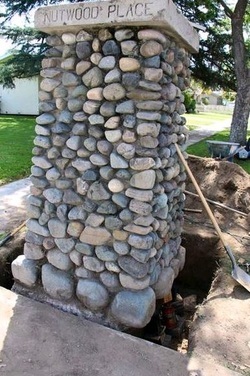 If you've noticed it leaning over the years, well, it leans no more! Drive on by and take a look! The 74-year-old elementary school at 541 N. Lemon Street is more than historic and significant in time and architecture: It enjoys a dramatic place in California cultural history. Killefer is believed to be the first school in California to voluntarily integrate students before a group of Mexican American parents challenged segregation and won their case in the Mendez vs Westminster court ruling of 1944. Such cases were instrumental in the Brown vs Board of Education decision three years later. The 1.7 acre school and surrounding property is still owned by the Orange Unified School District, which put it up for sale last year. 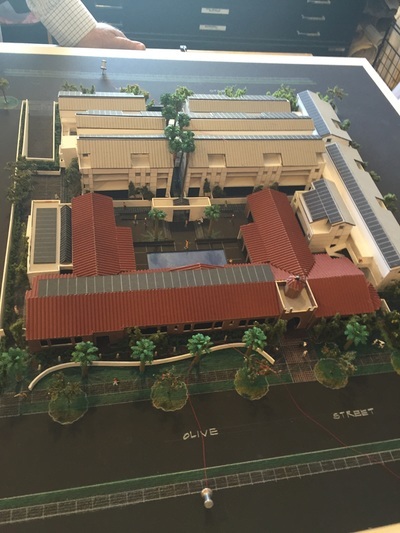 Several developers — and Chapman University — made bids. The first bidder, the Olson Company, proposed to demolish the school and build townhouses. Olson pulled out when the Old Towne Preservation Association objected and retained preservation consultants to coordinate the process for achieving national registration as a permanent historic building. 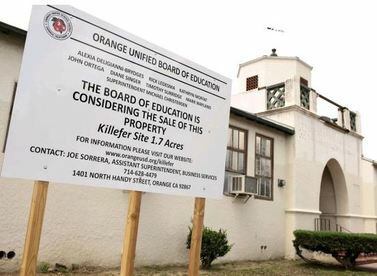 The only opposition came from the Orange Unified School District, which voted in a closed session not to support the school’s listing as a historic landmark. The District had a representative in attendance at the State Historic Resources Commission hearing on Jan. 28 in Sacramento as did OTPA. The commission is a nine-member review board appointed by the governor for identification, registration, and preservation of California’s cultural heritage. Its recommendations are reviewed and approved by the National Park Service for listing on the National Register of Historic Places, which is the next step for the Killefer School. 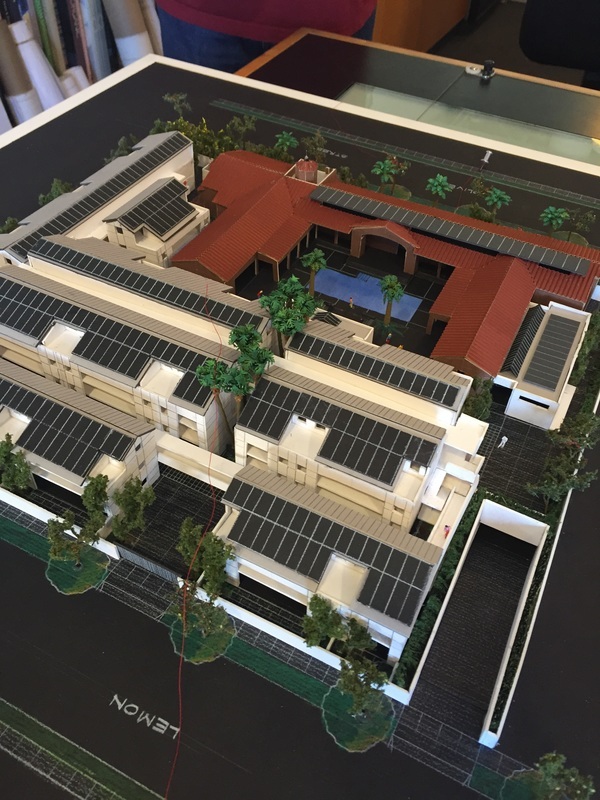 The listing will ensure that the school building cannot be demolished, but the structure can be adaptively reused by the property owner. Other bidders are now exploring possibilities.